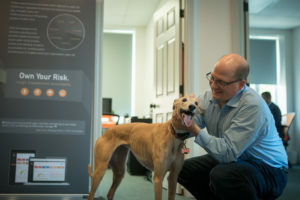 Fredericton’s Beauceron Security is a cybersecurity software-as-a-service (SaaS) platform that helps businesses of all sizes manage and monitor for cyber risks with a focus on the “human side” of security. In time for BDC Small Business Week, ONB spoke to CEO David Shipley to learn more. ONB: What do you mean by the “human side” of cyber risk? Shipley: It’s about helping to educate people, raise their awareness, and expose them to things like social engineering efforts such as email phishing scams. But it’s not just about employee awareness training. Our platform also works with management and executives to help them understand their approach and tolerance for cyber risk, particularly their organizational culture and gaps in both their business processes or technology. 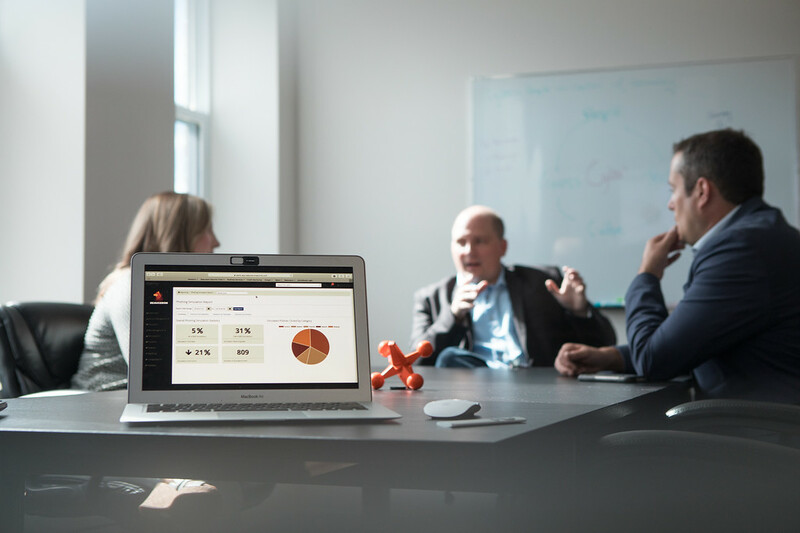 We’ve made it affordable, fast, and easy for companies of all sizes to turn cyber risk from ‘IT’s problem’ into a business issue that can be effectively managed. More than 40 clients are now using our technology in 27 countries around the world. Tell us a bit about the relationship between Beauceron and ONB. We have benefitted tremendously from a great working relationship with ONB and CyberNB. First, ONB and CyberNB use our technology for security. We’ve also received support for our marketing activities including travel to international conferences and trade shows. ONB recently helped us with a new professional photoshoot of our team and technology. We’ve also benefitted from ONB and CyberNB’s many relationships in the cybersecurity sector. Thanks to introductions from your team we’ve landed some major national partners that have helped bring our technology to market in Canada and elsewhere. Via CyberNB we’ve also deepened partnerships that resulted in us being able to participate in one of the world’s top cybersecurity accelerators in the U.K. — Cyber London (CyLon). We would not have been this successful in our first 12 months without the variety of support we’ve received from your team. It’s Small Business Week, so what is your best advice for small business owners looking to be successful in New Brunswick? It takes a community to build a company; nobody does this on their own so don’t be afraid to ask for help. Always reach out to the ONB’s of the world, we’ve received great support from you as well as from PETL, ACOA and other groups. Everyone here has come to the table with a variety of programs that we’ve leveraged to fulfill various needs that have really added rocket fuel to our growth. And aside from funding there, are so many experienced people that really care about your success within those organizations. Reach out, you’d be surprised what’s out there to help you be successful and it’s not onerous or difficult to access. Everyone wants to see great business of all sizes growing in this province. Learn more about Beauceron Security at www.beauceronsecurity.com.